Pneuma is a first person adventure game putting you in control of a would-be-god as he travels through a new world while commenting on his own divinity and the nature of creation. Beautiful visuals, music and phenomenal voice acting. POV puzzles can be frustrating. You start the game in complete darkness, something your character doesn’t like, so uttering famous words a crack opens in the void and light spills in, opening a door towards a beautiful white hallway. Musing on how his words manifested light he comes to the ‘obvious’ conclusion that he is God and he created this world, yet he feels it’s odd he keeps meeting challenges and puzzles. Throughout the story you will hear him philosophise about his nature and that of ‘his’ world. It’s not a complex plot, but it does lead to a satisfying payoff. 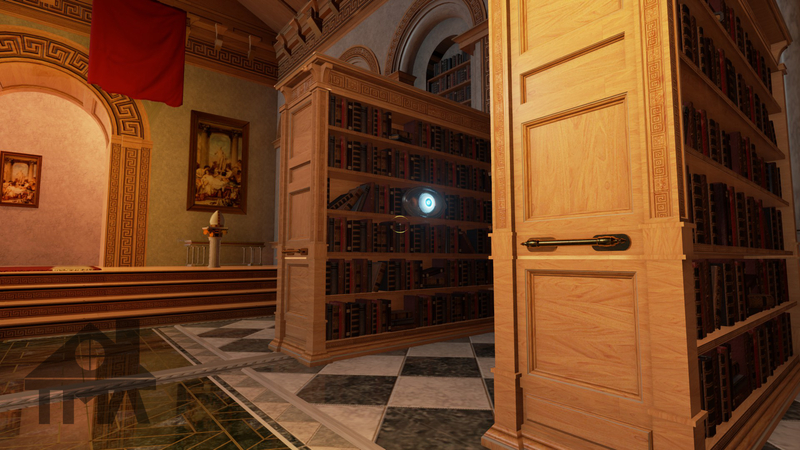 Without revealing the surprises Pneuma has in store for you, the game plays you as much as you play it. One of the very few ‘interaction’ puzzles in the game. 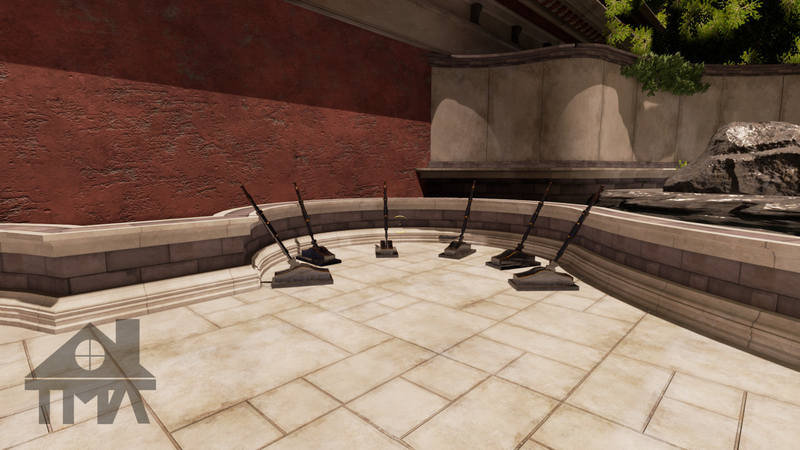 In terms of gameplay and puzzles, Pneuma is a one trick pony, with more than 90% of puzzles visual based. This means you’ll be looking at (and away from) things—glowing metal eyes in particular. There is very little interaction and you can count these puzzles with one hand. While it’s a very interesting approach to puzzle design and offers some interesting moments, it can also lead to some degree of frustration when a simple camera movement derails the puzzle you’d been working on for minutes. In the playthrough video below you’ll see two of those puzzles, one involving a wall with holes you need to close by looking and approaching, and one where your point of view changes the colour of the tiles on the floor. Both get tiresome very quickly—though I did solve them for my main playthrough. Environments are gorgeous and seem straight out of a Roman villa, with classic style architecture and murals. The opening white rooms give way to colour as the character gets tired of their emptiness and this visualstyle remains until the end of the game, where you once again shift into a forest path. Audiowise, the highlight of this game is Jay Britton’s voice acting. The character is instantly likeable and his quest for answers, to make sense of the world around him and his own existence makes him relatable and quite human, even if you never see anything of him. That isn’t to say the music isn’t good, it’s actually fantastic and you’ll probably want to get the soundtrack—if you don’t get it together with the game in a bundle! This is a short game, with only five or six chapters and each of these is a few puzzles long. There’s a good chance you might be able to finish it in one sitting, but the story makes this short ride very sweet. This is what you’ll do for most of the game: stare at glowing eyes! Pneuma: Breath of Life is one of the cleverest games I’ve ever played. It’s quite short and you’ll have some frustrations with the puzzle design, but you will enjoy the ride for as long as it lasts.